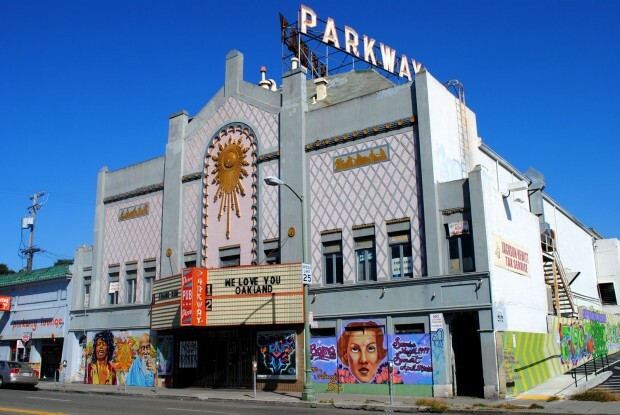 The Parkway Theater may be close to finding a new home. It was a sad day when our favorite Parkway theater closed a couple of years ago. This was the coolest place to go for cheap second run films, and a steady feature of beer, wine, and pizza- all enjoyed on couches and living room furniture. I hear they are negotiating new locations now (yay!) off of either Broadway Auto Row, or Temescal, or possibly West Oakland. Can’t wait.